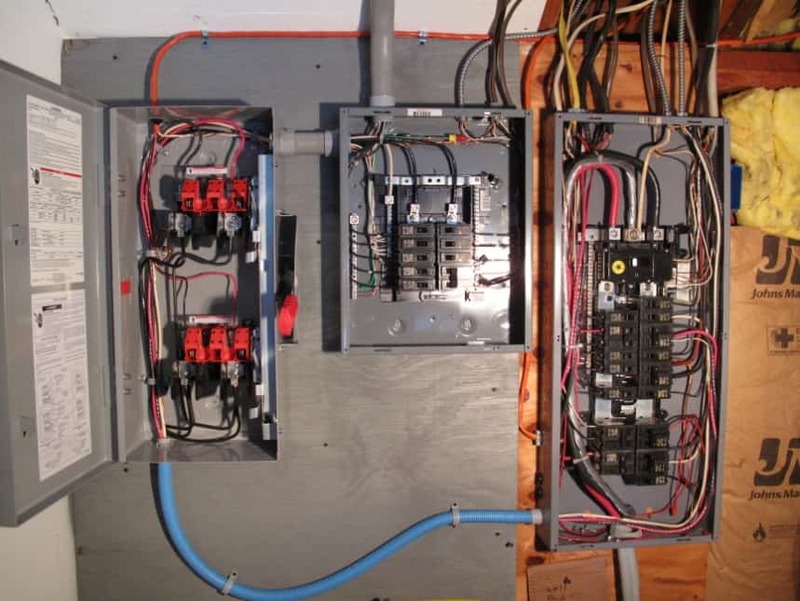 Terrace Electric installs and maintains Electric Generators for Commercial and Residential customers. 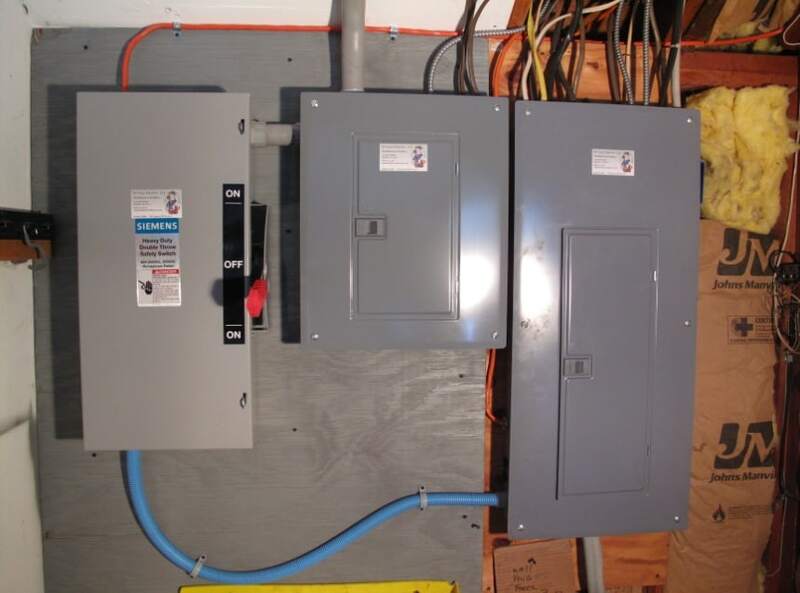 If you have experienced or are expecting power outages that last longer than several days a generated power system that interfaces with your building may be a consideration for you. 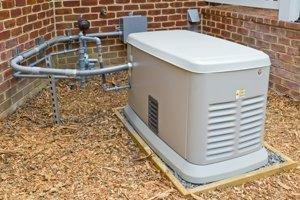 In short there are 2 different kinds of generator systems to choose from; manual transfer or auto transfer. Renaldo home; generator manual transfer switch and panel. Auto start/transfer systems provide the convenience of not having the need to interface with the equipment. These systems can send updated information (rpm, run time, maintenance, etc…) of the status of the generator to your email or smart phone. 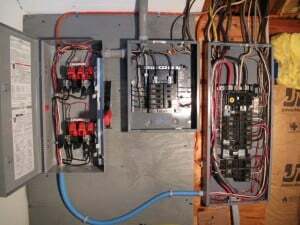 If you travel frequently or have health needs that ensure electrical power not be interrupted, we can build an auto system that fits your needs. Both manual and automatic electric generator power systems work very well under severe conditions. There is a significant cost difference between manual and automatic electric generator power systems – often a factor of x3 or x4 between the two depending on the system selected.